These terms and conditions relate to goods, which you offer to purchase from the Mod Shoes online store (“our/this website”). Please read these terms and conditions, which govern your use of this website and our supply to you of any goods which you offer to purchase through our on-line facilities. In many cases orders are shipped next working day. We aim to dispatch your order within 5 working days. International: Please allow up to 10 working days for delivery. Any taxes or duty fees incurred by shipping to overseas addresses are the responsibility of the customer and these costs cannot be reclaimed from Modshoes. We would like to ensure your complete satisfaction with the items you have bought from this website. If however you wish to return or exchange an item(s) please contact us at dispatch@modshoes.co.uk and state whether an exchange or refund is required. We will accept items on return that are not worn, used or damaged. Please ensure we receive the goods within 28 days of their dispatch. For safety’s sake we do ask that you try the shoe on, on carpet. As you would expect we only like to send out ‘Tip Top’ shoes. 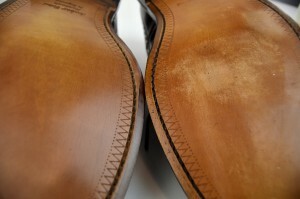 For an example of Tip Top condition, notice in the pics below, that the shoe on the right has been tried on rough. Perhaps in the kitchen or stone floor ! If the shoes come back to us like this, we will simply return back to you. I know this sounds harsh, but we cant resell these shoes and wouldnt want to supply as new to another customer. 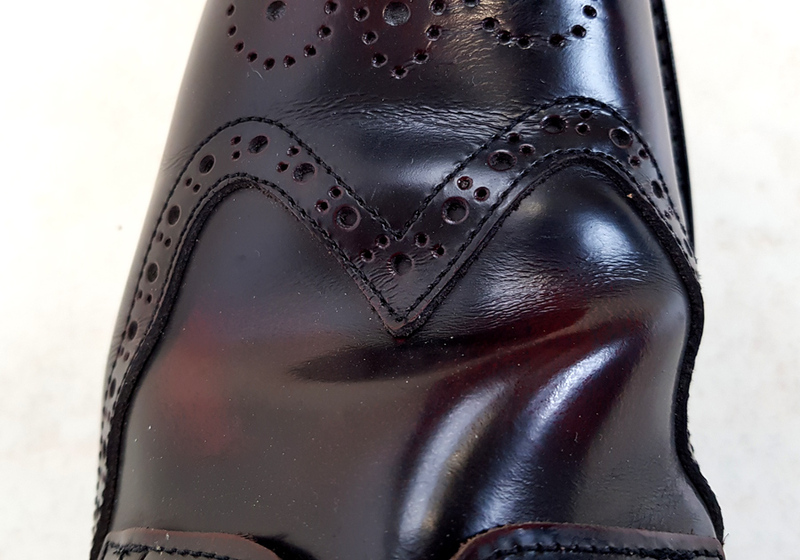 Also can we mention dont force the shoes, we get customers doing this (below) to stretch the boots or shoes, which leaves crease marks ! The next customer wont want these, so please use caution when trying on. The Box must also be good. We have people that send back shoes by simply taping up the box and sticking returns label on. If we receive back like this we will charge £5 , meaning your refund will be £5 less than the full refund. Please reuse the bag the shoes were sent in, or a supermarket bag etc. In addition to the Distance Selling Regulations, you can return any item within 14 days of receipt for a refund of that item or to exchange it for a different size or colour. In this case you will be liable for all postage costs. We are not responsible for the shipping costs for international customers. 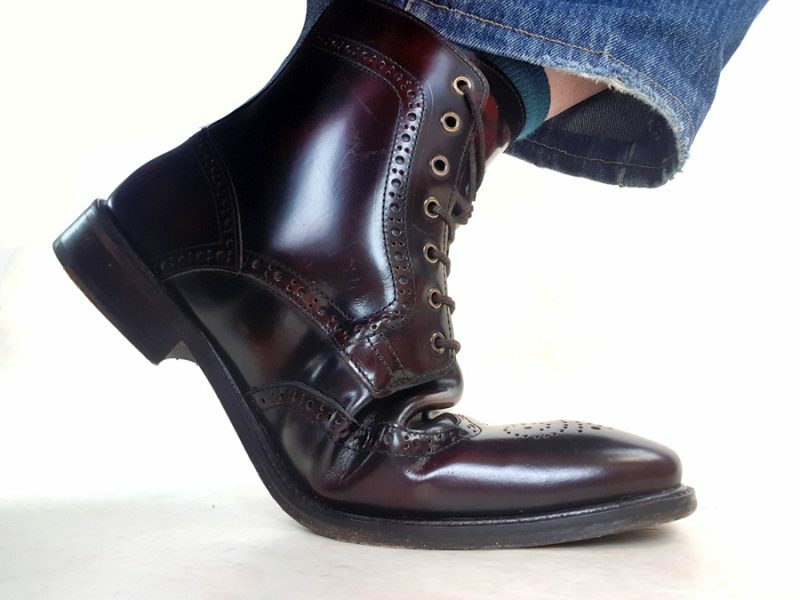 We advise to send your shoes back via a guaranteed delivery service, such as Royal Mail Special Delivery, or get proof of postage as we cannot be held liable for any goods lost in transit to us. We don’t charge for UK delivery so when a refund is done you get all your initial money back. So if you paid £78, you get £78 back assuming you did return the shoes in 14 days and the shoes are saleable again. If you like the shoes but need to exchange for a different pair, i.e smaller size. We will send out another pair with free postage. Please state whether an exchange or refund is required. Once your goods are accepted back into stock you will be issued with an exchange or refund. We’ll refund the delivery charge on unwanted goods where you notify us, other than by telephone, within 14 days of receipt of your intention to cancel. If notification is received later than 14 days after receipt, then we’ll refund the delivery charge only if the goods are damaged, faulty or incorrect. Any overseas returns (meaning not the UK) will be subject to further delivery charges. Mod Shoes try to get your order out as soon as possible. To cancel your order you can email us at accounts@modshoes.co.uk Unfortunately it will not always be possible to stop the order if this has already been picked up by the delivery company so Mod Shoes will not be liable for the postage and packaging costs should this be the case. Sale items are sale items because we will be running down this line. In this case we wont be able to offer you a refund on the shoes, unless they are faulty. All shoes are checked before they leave here. On sale items we will offer you a credit on a further purchase, for the price of the item. 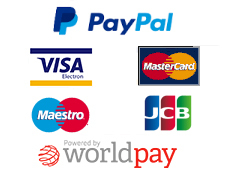 All payment card holders are subject to validation checks and authorisation by the card issuer. If the issuer of your payment card refuses to authorise payment to us, we will not be liable for any delay or non-delivery. In addition, in the interests of preventing fraudulent use of credit, debit and charge cards, Mod Shoes will validate the names, addresses and other information supplied during the order process against commercially available records (e.g Electoral Roll data, Credit Reference Services). A third party may also be instructed to complete these checks. 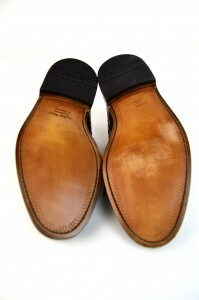 By ordering from the www.modshoes.co.uk website you consent to such checks being made. We may need to contact you by letter, telephone or email to verify details before we are able to process and dispatch your order or we may be unable to accept your order. Any information given may be disclosed to a registered Credit Reference Agency which may keep a record of the information. All information provided will be treated in accordance with the Data Protection Act 1998. These measures are taken as extra protection for you, to ensure your online shopping experience with us is as safe and secure as possible. Mod Shoes reserves the right to refuse any order.